Scott Gregory could have given up on his Olympic skating dreams many times. He could have given up when he blew out his kneecap. He could have given up when he re-injured his knee. Or when he broke up with partners. Or when he hurt his back. But as Gregory writes in his book, Champion Mindset: Refusing to Give Up Your Dreams, he never did. If he had, he might never have made one trip to the Olympic Winter Games, let alone two. But Gregory, a freestyle skater turned ice dancer, wound up winning two U.S. titles (with Suzanne Semanick in 1987 and 1988), making six trips to the World Championships and competing twice in the Olympics (in 1984 with Elisa Spitz and in 1988 with Semanick). Although Gregory was an elite competitive skater, not many people — he even said not many people close to him in the skating world — really understand the obstacles he overcame to reach his goals. Scott Hamilton, a skating contemporary of Gregory’s, wasn’t fully aware of Gregory’s triumphs. But he did. And he skated well. Beyond well, in fact. Gregory grew up by Skaneateles Lake, one of the Finger Lakes in central New York state. As a youngster, he skated upon the frozen lake. His mother was an elementary school physical education teacher and his father was a businessman and airline pilot who flew with the Air National Guard. Gregory had two siblings, a sister, Heather, and a brother, Bill Jr. Scott was the youngest of the three. Gregory took to skating quickly and started private lessons shortly after he first glided on the ice. At a camp at the Rochester Institute of Technology, a coach displayed an Axel and asked Gregory to try it. Although Gregory previously had done some initial training on the jump, he wound up landing it on his first attempt there. It wasn’t long before Gregory started training with Richard Callaghan and soon he was winning regional competitions. And when Gregory was 15, he followed Callaghan to his new training center in Philadelphia. It was a difficult decision for Gregory, since he had to move away from his family, but he wanted to continue training at a high level and move up in the rankings. But things did not go smoothly. “I bombed at South Atlantics,” he said. He could have quit then. “That letter really touched me,” Gregory said. Yet things didn’t improve right away. In fact, they got tougher. He split his right kneecap in half while performing a Russian split jump and was forced to undergo surgery. Shortly after his recovery, Gregory split the same kneecap again. Doctors told him his body no longer could handle the intensity of jumping and suggested he should quit skating altogether. But that didn’t stop Gregory from skating. He decided to turn his attention to ice dance and his skating career was reborn. “Obviously, it was really hard for me,” Gregory said. “I was seeing myself competing with the Scott Hamiltons of the time. I think it’s every kid’s dream as a figure skater to make it on your own. He started ice dancing with Judy Ferris, and after skating just six months together, they won U.S. junior title. But he decided to change coaches and move to Wilmington, Del., to train with Ron Ludington. Ferris did not want to move so Gregory had to search for a new partner. He moved to Delaware and began training with Elisa “Lisa” Spitz. At the 1982 U.S. Figure Skating Championships in Indianapolis, the couple finished third. The following year, they earned a silver medal, and in 1984, they placed third again and earned a berth to the Olympic Winter Games in Sarajevo. The 1984 U.S. Championships were bittersweet for Gregory, because he had hoped to place either first or second, but at least there was the silver lining of making the Olympic team. Gregory said the festivities of the Olympic Games were everything he dreamed of them being. On the ice, however, things were not quite as rosy. Gregory and Spitz placed 10th at the Olympic Winter Games and 10th at the subsequent World Championships. By then, their relationship had come undone and they decided to stop skating together. Gregory met with Ludington and although he still loved skating, he was not enthused about starting over with another partner. But Ludington convinced him not to quit and to try skating with Semanick. 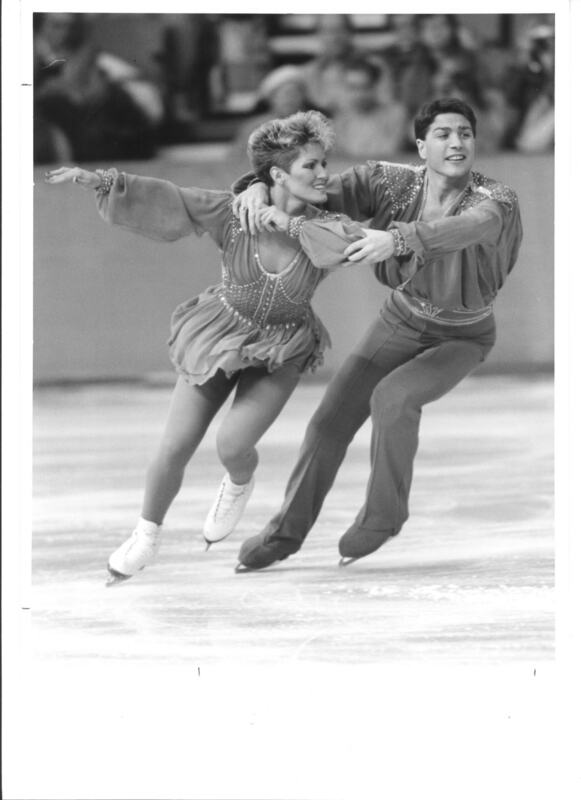 Although Semanick was 16 when she started skating with Gregory (who was 24 at the time), they managed to gel quickly and place third in their first trip to the U.S. Championships together in 1985 and make the World Team. For Gregory, this was a huge victory because he had been worried that he would not be able to maintain his status on the World Team with a new (and young) partner. Two years later, they became U.S. champions. They defended their title the following year, in 1988. But not long before the U.S. Championships in 1988, Gregory injured his back. Somehow, despite plenty of time off the ice, Gregory pulled himself together to compete at the U.S. Championships in Denver, win a U.S. crown and qualify for a second trip to the Olympic Games. One of his biggest supporters during this time was Robbie Kane, a longtime coach. After the Olympics in Calgary, Gregory turned pro. He coaches in Newark, Del., along with his longtime mentor and former coach, Ron Ludington. His wife, Pam Duane Gregory, is also a coach there. She coached Kimmie Meissner to the 2006 Olympic Winter Games and to a World title the same year. Since the book was published, several of his skaters who have read the book at the rink in Delaware have approached Gregory about his injury-laden career. Gregory cautions that skaters need to listen to their bodies when it comes to injuries, but with positive support from coaches and parents, it is possible to achieve many of their dreams. “I was so lucky to have my parents’ support,” Gregory said. Throughout the book, he mentions how his success on the ice it was for his parents to be supportive off of it, whether it was through letters or conversations. He also made a point of saying how his parents supported him but didn’t burden him with extra pressure, which is something he looks back on with appreciation, and hopes parents of skaters today can understand, too. And he feels lucky to continue to be involved with skating. Now he hopes his experience and his words will help the next generation of skaters who are trying to reach their goals. If he has one objective with the book it is that perseverance is key to achieving any goal — sometimes a skater can be thrown into a situation that doesn’t seem too positive at the time, but it could wind up leading to something positive. Unveiled in the days before Skate America last year, the purpose of the SKATING magazine blog was to provide the types of coverage and stories SKATING magazine has provided for 89 years. The SKATING magazine blog has now surpassed 100,000 hits, and we’d like to thank everyone who continues to read and share what they see here at skatingmagazineblog.com! In the lead-up to the 2012 Prudential U.S. Figure Skating Championships, the official event program was posted online and free to all fans in a digital format for the first time. 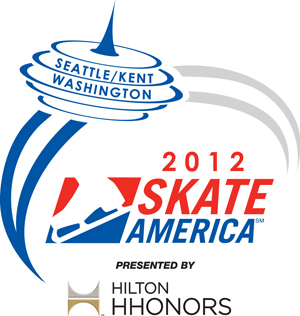 The program includes stories, editorials and bios on all of the competitors at the 2012 U.S. Championships. The most decorated figure skater in American history, she’s also the most photogenic too. Michelle Kwan has been featured on more SKATING covers than anyone else. Take a trip back through time with her first seven SKATING covers. Kwan was also featured on an eighth cover when she was elected to the 2012 U.S. Figure Skating Hall of Fame. Thanks to a tweet from @AlexShibutani, this playful piece by Lynn Rutherford at the 2011 Grand Prix Final received a lot of attention. Relive the story behind the “Canton-ooga Choo Choo” with this blog entry. On Sept. 16, 2011, Brandon Mroz laded the first quad Lutz in competition in Colorado Springs, Colo. After more than a month, the ISU officially recognized and confirmed the feat. Click above to read the story and re-watch the history. How can your life change in just four minutes? The amazing first-person story, written by Gwen Abbott Asmussen, sister of U.S. champion Jeremy Abbott, about her brother’s 2012 U.S. Championships free skate and everything that occurred on and off the ice. Want to be in SKATING magazine? Michelle Kwan…Brian Boitano…You? SKATING magazine is giving its readers the opportunity to grace the same pages as the greatest figure skaters of all time. Beginning with the next issue (June/July featuring Brian Boitano on the cover), fans of SKATING will be able to connect and voice their thoughts with the chance of having their name, tweet or Facebook comment published in the 89-year-old staple of U.S. Figure Skating, SKATING magazine. Each month, we will announce a discussion topic and, in 140 characters or less on Twitter or a short few sentences on Facebook, you will have the opportunity to answer the question and appear in the next issue of SKATING magazine. Participation is open to everyone. Fans will be able to connect through the U.S. Figure Skating Twitter page and the U.S. Figure Skating Facebook Page. *Please note that anyone who submits a response is authorizing U.S. Figure Skating to use their name, photo and opinion in SKATING magazine. What is your favorite skating memory? Please answer in a tweet @USFigureSkating or in the comment section on Facebook! On May 9, Agnes Zawadzki, the 2012 U.S. bronze medalist, visited Omaha, Neb., in anticipation of the 2013 U.S. Figure Skating Championships. The event, being held for the first time in Nebraska, is slated for Jan. 20-27, 2013, at the CentuyLink Center. With Mother’s Day around the corner, Zawadzki gave several interviews to talk about her skating career, upcoming high school graduation and the U.S. Championships (hint, hint – tickets make great Mother’s Day gifts!). Other highlights from the day included meeting local skaters from the Moylan Premier FSC, FSC of Omaha and Blade & Edge SC. The Moylan Iceplex graciously opened their doors and ice to Agnes and the skaters. Between interviews, Zawadzki was treated to a tour of Borsheims, one of the largest independent jewelers in the country, and a delicious lunch at Stokes, where she had her first-ever enchiladas. A quick, but productive day that has Zawadzki, U.S. Figure Skating and the local organizing committee excited for a great event in January. It will be here before you know it! Thank you to Agnes, and, of course, to everyone in Omaha who showed us such a wonderful time ! With host Gary Sadlemyer (back to us) and Scott Voorhees. Seems like a good place for an autograph! Well, not downtime, just time to work on homework and The Hunger Games at the offices of Bailey Lauerman. Co-host Gina Melton already has her tickets to the 2013 U.S. Championships! After celebrating Billy Joel’s 63rd birthday, host Glenboy asked Zawadzki if she skates singles because she doesn’t like touching boys. Getting her wires in order! With U.S. Championships beat writer Erin Golden. Be sure to read her story! Skaters from three local clubs spent about an hour with Zawadzki.